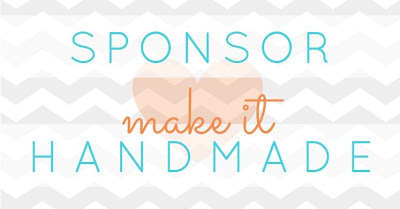 Make It Handmade: Sponsor and Support Make It Handmade! 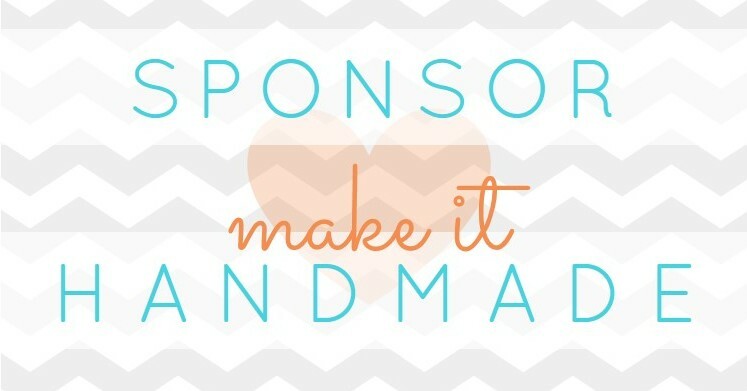 Sponsor and Support Make It Handmade! I've been accepting sponsors for a few months now, but it's time to make it official! I'm trying something different and offering very limited number of sponsorships to a few select shops that I absolutely love (like Ribbon Retreat and Zip it Zippers!) Exclusivity means that your shop won't get lost in the sidebar fray, and has more of a chance of being noticed. Right now, I have just two spots open, so if you own or know of a shop that you think would be a great fit for MIH, check out the Sponsor page, or drop me a line using the contact form. If you've made it this far, please let me say thank you, thank you, thank you for reading! This blog has been such a blessing to me, and it wouldn't be possible without you all that come back each week to see what I'm up to. See you back here on Wednesday for a fun tutorial for the teeny tiny ones!